Located in Matamata, ArtHouse Bed & Breakfast is in a rural location, within a 15-minute drive of Founders Park and Firth Tower Museum. Free self parking is available onsite. 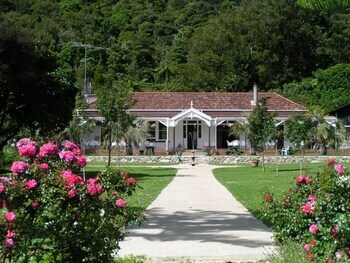 A stay at Bk's Pohutukawa Lodge places you in the heart of Whangarei, within a 5-minute drive of Tuatara Gallery and Whangarei Quarry Gardens. Free self parking is available onsite.